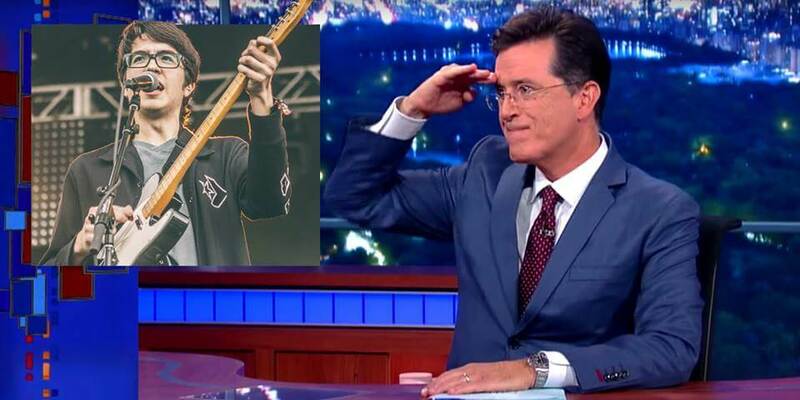 Car Seat Headrest’s national TV debut takes place tonight on CBS’ “The Late Show With Stephen Colbert” (11:35 eastern, 10:35 central – check your local listings here). Barring some sort of grid failure / disaster of Crispin Glover-face-kicking-proportions, we’ll have a clip of said performance here tomorrow am. Tonight’s other guests include Vice Presidential hopeful/Replacements fan Tim Kaine and thespian powerhouse Tony Hale.